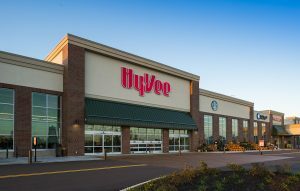 WEST DES MOINES, Iowa — To assist in combatting the national opioid epidemic, Hy-Vee Inc. has implemented a new controlled substance prescription policy. Since January 1, Hy-Vee pharmacies have not allowed a subsequent fill of a Schedule II controlled substance, or a refill of a Schedule III or Scheduled IV controlled substance more than 72 hours early without authorization from the prescriber. Hy-Vee already offers naloxone without a prescription in all eight states where it operates pharmacies: Illinois, Iowa, Kansas, Minnesota, Missouri, Nebraska, South Dakota and Wisconsin. Naloxone is available at Hy-Vee pharmacies in nasal spray and injection forms (upon request), although nasal spray is the most commonly used form. The drug is stored behind the counter, and cost varies, depending on the form and whether customers go through their insurance or pay cash. Hy-Vee pharmacists also ensure that patients and their family members understand how to recognize signs of an opioid overdose and how to administer the medication. While naloxone is not a cure for an opioid overdose, it can assist an individual until emergency treatment is available and long-term treatment is provided. The medication has no effect if opioids are absent.